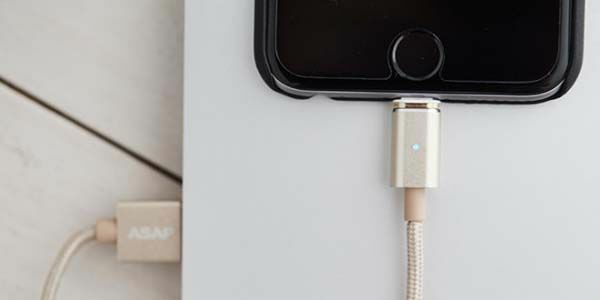 The ASAP Connect is an easy-to-use and versatile USB charging cable that comes in two models for iOS and Android devices. The charging cable has a 1.2m nylon braided cable and its connector features a durable aluminum housing in order to deliver a stylish and premium look. Meanwhile, two color options enable it to match well with the style of your smartphone, tablet or other mobile devices, and the nylon braided cable is design for durable and long-lasting construction and it also prevents from getting tangled in your bag. The magnetic charging cable features the careful 360-degree exterior positioning of 2 strong neodymium magnets on both the tip end and cable head end, so ASAP Connect can always connect correctly even if the tip is flipped 180 degrees, and the tip measures only 10mm wide, so it works with various protective cases and always stays on your smartphone, and the magnetic connection prevents you from tripping over the cable and damaging your mobile device during charging. 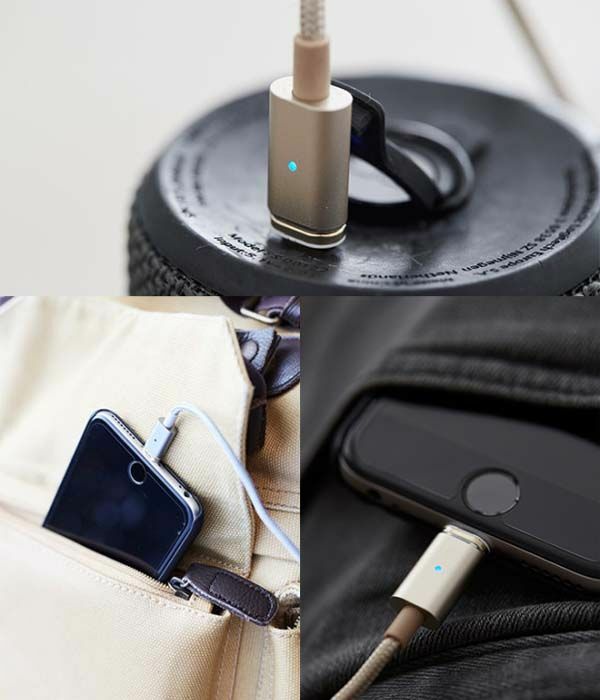 In addition, the magnetic charging cable has a built-in LED indicator, and a reversible Type A connector lets you effortlessly plug the cable in a power bank or USB adapter. The ASAP Connect has been available for preorder on Indiegogo. You can pledge $18 to preorder the magnetic charging cable with two connectors. BTW, also don’t miss and more related cool stuff by following tags.